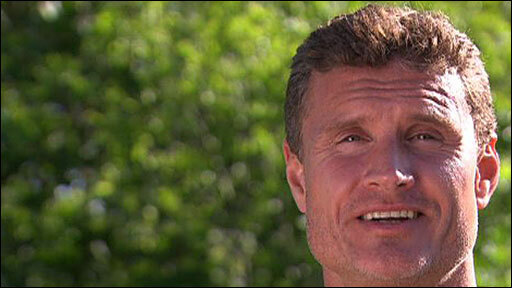 David Coulthard, the former Formula 1 racing driver, has received an MBE in the Queen's Birthday Honours List. The 39-year-old from Dumfries won 13 grands prix in a 15-year career in which he scored more points than any British F1 driver in history. Coulthard retired from F1 two years ago but announced in April that he would race for Mercedes in the German Touring Car Championship (DTM) this season. "I'm delighted to receive this for my contribution to motorsports," he said. "A big thank you to all those who have helped me. My family, Frank Williams for giving me the first opportunity in F1, Jackie Stewart for his guidance before that. "Ron Dennis, of course, through my McLaren years, Dieter Mateschitz of Red Bull towards the end of my career and the whole motorsports community because the platform of motor racing has given me this opportunity, so thank you to all." The Sunday Times recently placed Coulthard in the top 10 of its sports rich list. Having said that "the adrenalin is the thing I miss in everyday life", Coulthard will combine his roles as a motor racing pundit with the BBC and as a consultant for Red Bull, a racing team he helped set up, with competing in the DTM, whose races do not clash with F1 dates. Coulthard broke into F1 in 1994 when he raced in the Spanish Grand Prix, racing for Williams, for whom he had worked as a test driver. He was racing at Formula Ford level at 18, having progressed from karting as a youngster, and by 1991 was competing in Formula Three races. Three years ago, Coulthard, in his autobiography, admitted to suffering from bulimia in his teens as he tried to make the step up from karting to Formula Ford, revealing that his weight was as low as 9st (57kg). While with Williams, Coulthard enjoyed his first F1 success, winning the 1995 Portuguese Grand Prix, but he really made his mark with McLaren, whom he joined in 1996 and became their longest-serving driver. He achieved a third-place finish in the 2000 drivers' championship and went one better the following year but had the misfortune of being up against Michael Schumacher racing for Ferrari. In 2005, the Twynholm-raised driver moved to Red Bull Racing and, the year after, secured his first podium finish with his new team in the Grand Prix in his adopted home town, Monaco.